Doğa’s efforts to conserve the Imperial Eagle and its habitats are carried in partnership with BirdLife partners in Bulgaria and Hungary. Eastern Imperial Eagle (Aquila heliaca) is listed as Vulnerable in the global Red List. Recent studies on the species showed that the distribution of the species is much wider than it was known about a decade ago. The species is a not uncommon breeding bird in Thrace, inner western and central Anatolia and the East, with a country population of 500 pairs or more. For the last five years, Doga and BSPB are monitoring 44 breeding territories of the species in Thrace, which are likely to be more. Despite the relatively wide distribution of the species, the actual range, productivity and threats affecting this population need to be further clarified in order to design a baseline conservation programme. Main threats to the species are cutting of nesting trees, loss of foraging and feeding habitats, poisoning, electrocution, and collision mortality and the collapse of nests. Doga conducted a socio-cultural study to identify interactions between local livelihoods and the Imperial Eagles in Thrace. As a result of the study, the number of regions such as Kofçaz is determined as outstanding locations for community-based conservation. Furthermore, with support from BSPB, Doga installed artificial nests to increase available breeding grounds for the species. Doga is working with the City Council of Kırklareli to prevent threats to eagles and other species. 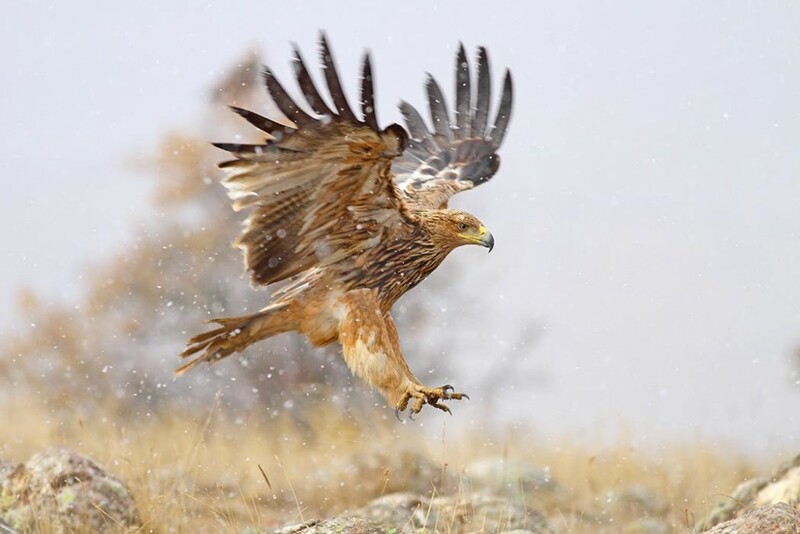 Along with direct conservation of Imperial Eagles of Thrace, Doga works with academics for assessing the status of the wider Turkey population of the species to design and implement a comprehensive conservation strategy.